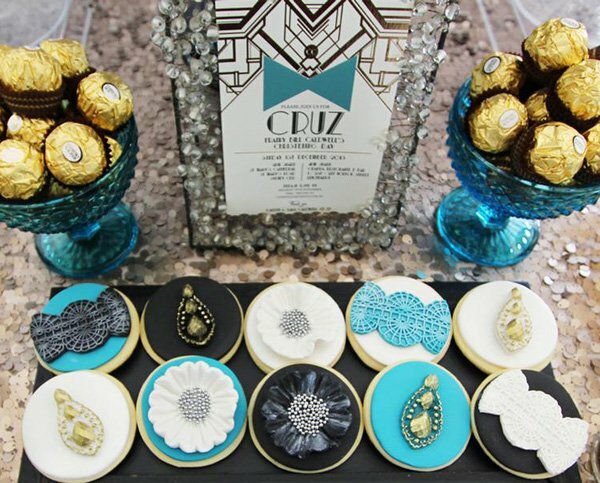 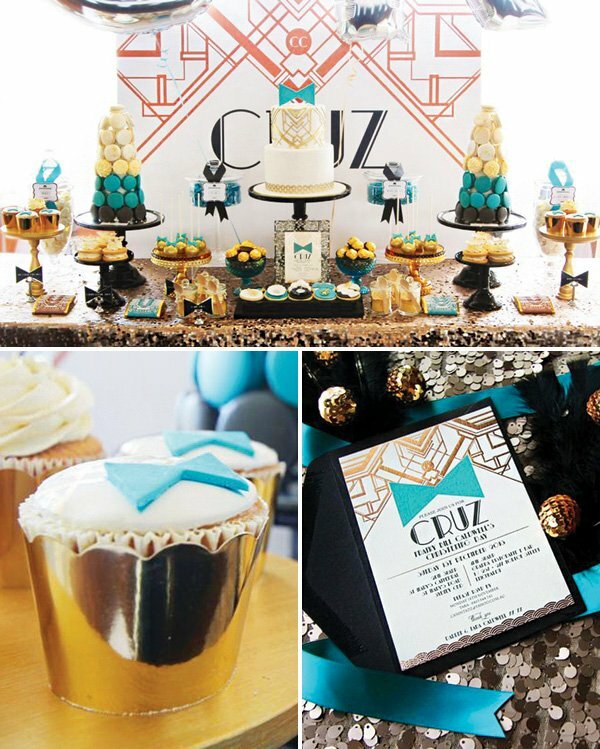 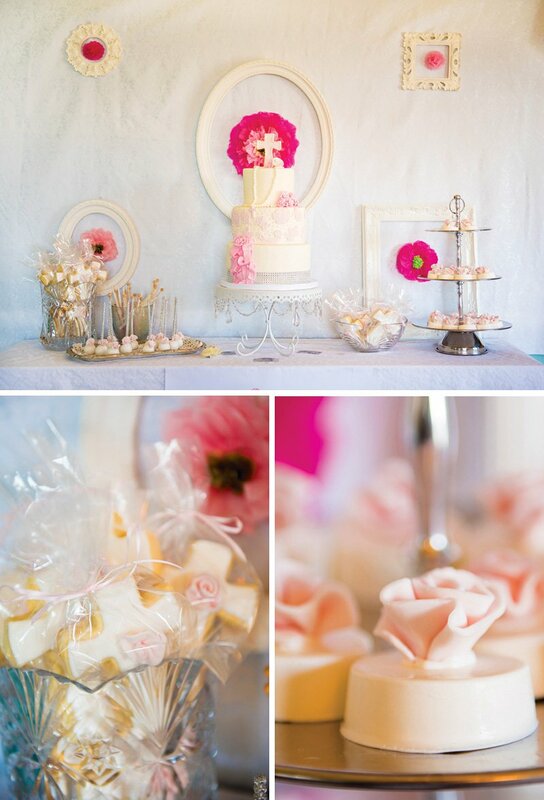 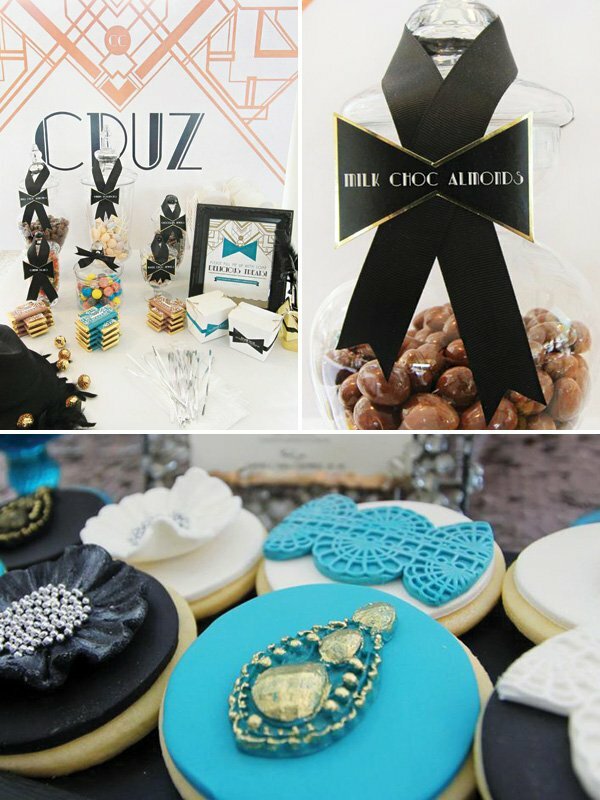 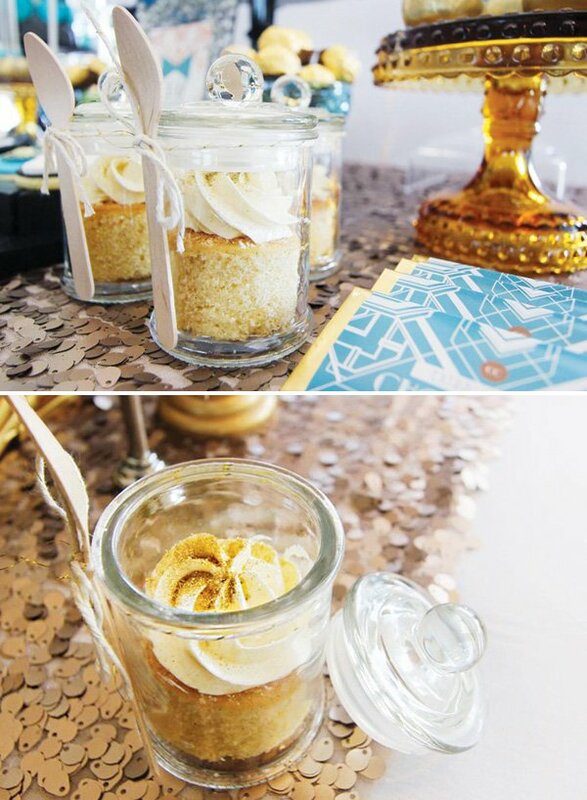 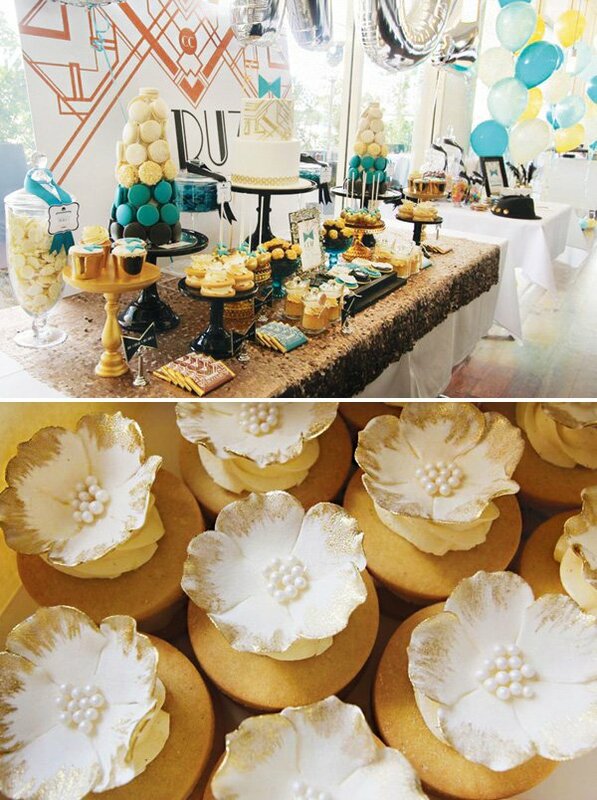 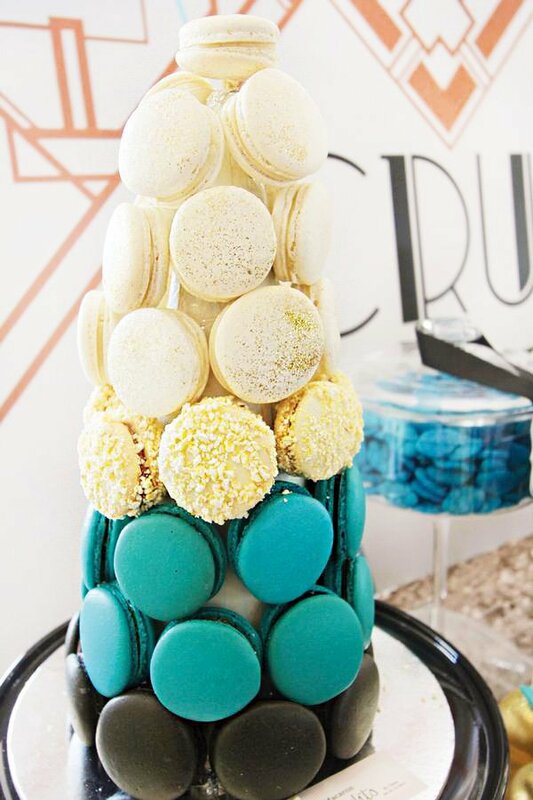 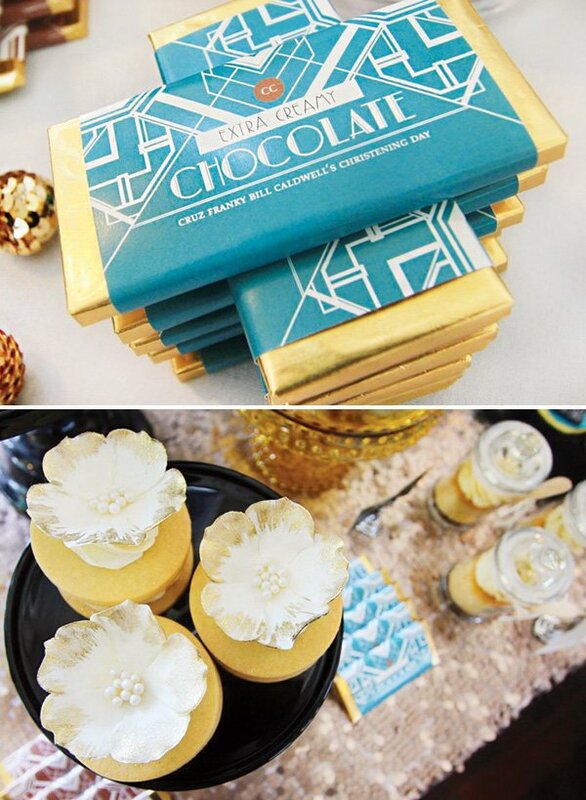 The dessert buffet was based on the invitation I designed, with the art-deco Great Gatsby-inspired lines and pattern carried throughout the entire station from the backdrop, to the cake, cupcakes, cake pops, cookies and all paperie. 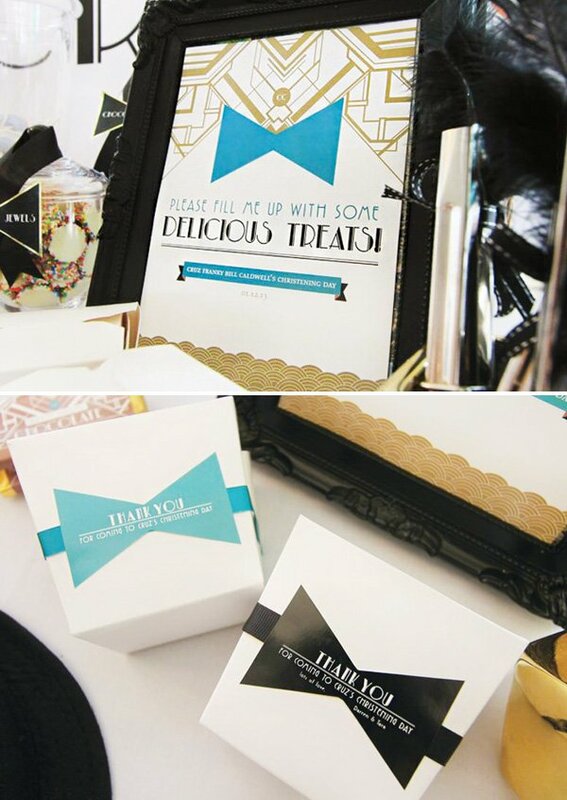 The bowtie was a strong focus also, as well as my favourite I may add, as I started seeing and wrapping everything in bowties, such as: bow-tie jar tags, bow-tie menu labels, and bow-tie thank you tags on take-away boxes! 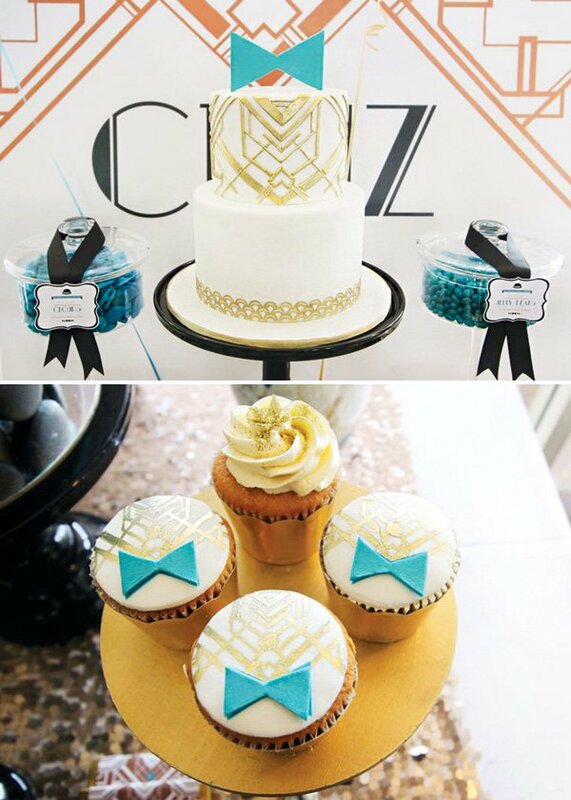 Finishing touches were the art-deco lines backdrop that I hand-painted with rose gold paint (yes…took me about 5 hours in total!) 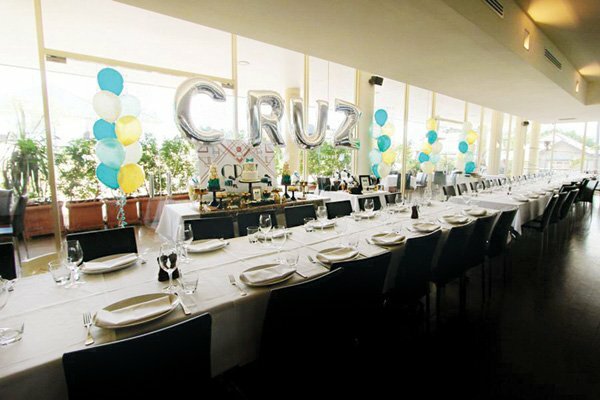 and the stunning CRUZ silver balloons above the dessert buffet and around the room. 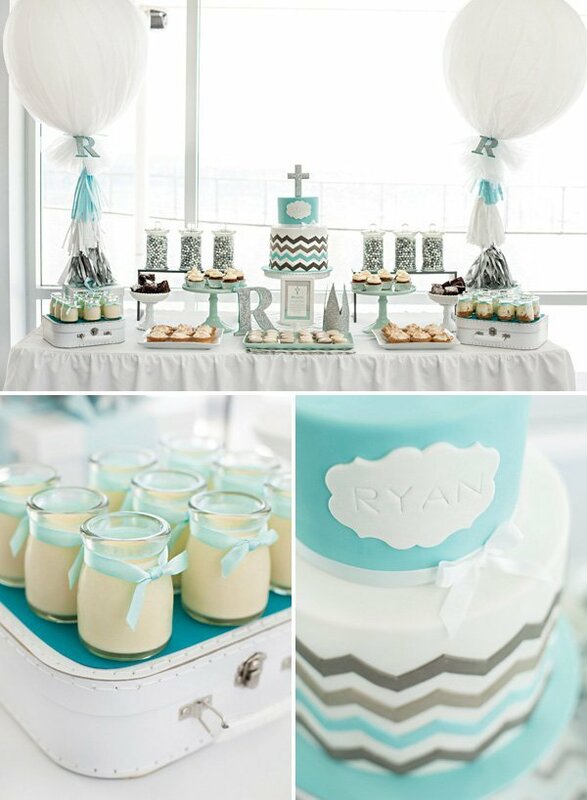 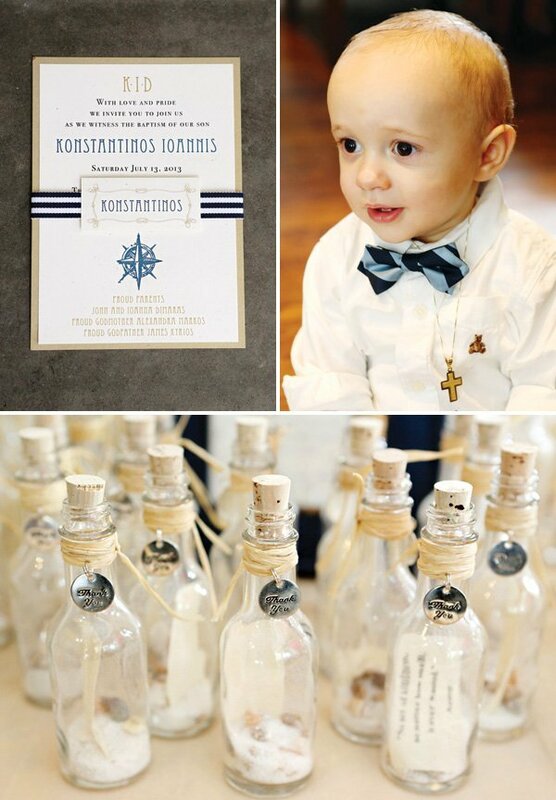 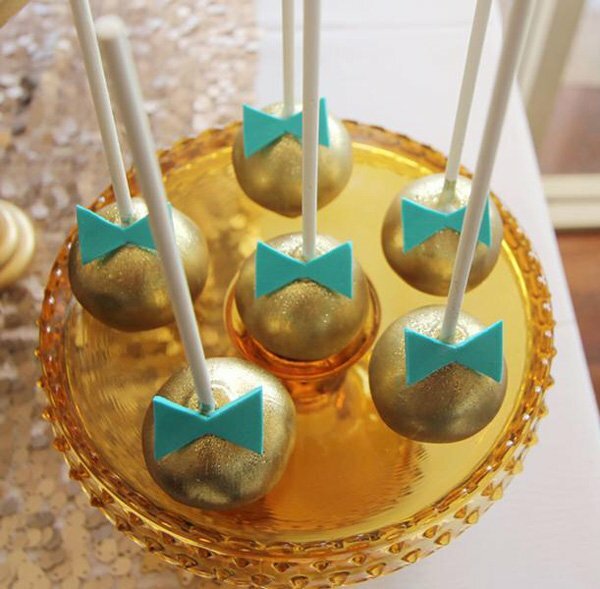 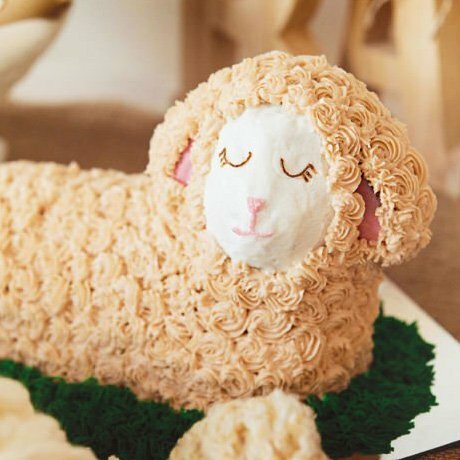 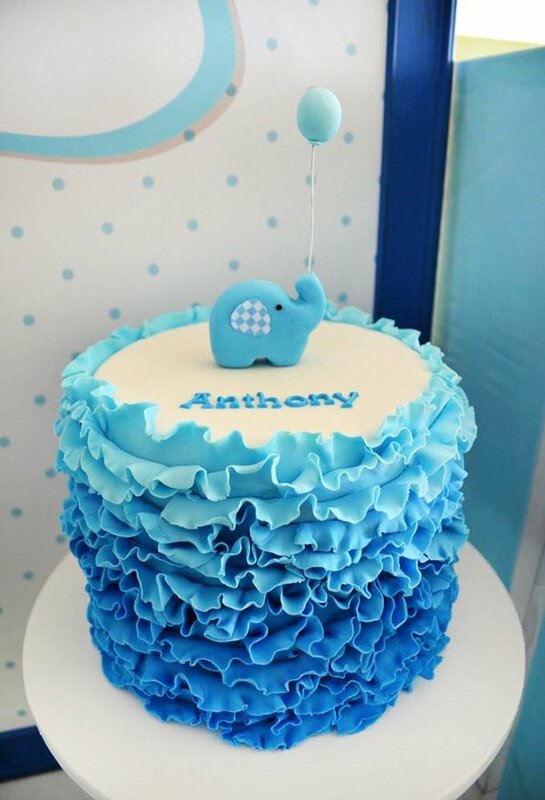 I’d never think of Great Gatsby for a Christening – so creative!